With over 20 years of experience designing and installing tile and natural stone surfaces, our team of experts at Timberline Tile has come across a wide variety of Frequently Asked Questions brought to us by our customers and contractors. Here you will find the answers to some common questions regarding the care and installation of your tile or surface product. Check back from time to time for updates on how to best maintain your tile and surface products as well as to access other helpful information. If you do not find the answer to your question on this page, we invite you to call our showroom at (970) 565-8635 to speak with a designer or installation technician. What do I use to clean my tile floor or surface? It may sound too simple to be true, but we recommend a vinegar and water solution to best clean your tile. The proper ratio for this solution is approximately 1 cup of vinegar to 1 gallon of water. It can then be sprayed or sponged onto the surface and scrubbed clean with a soft to medium bristled brush. For cleaning grout, a toothbrush works best. Does sealing my grout make it stain proof? Unfortunately, NO. Sealing your grout makes it stain resistant, but not stain proof. When cleaning grout, we recommend changing your water or vinegar/water solution regularly since dirty water can darken and stain your grout. 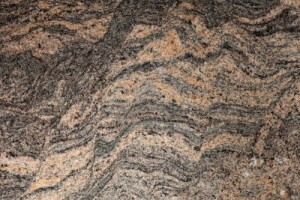 How often should I re-seal my granite counter tops and surfaces? 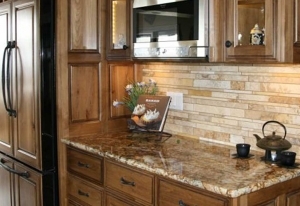 It is recommended that you re-seal granite counter tops and surfaces every two years. 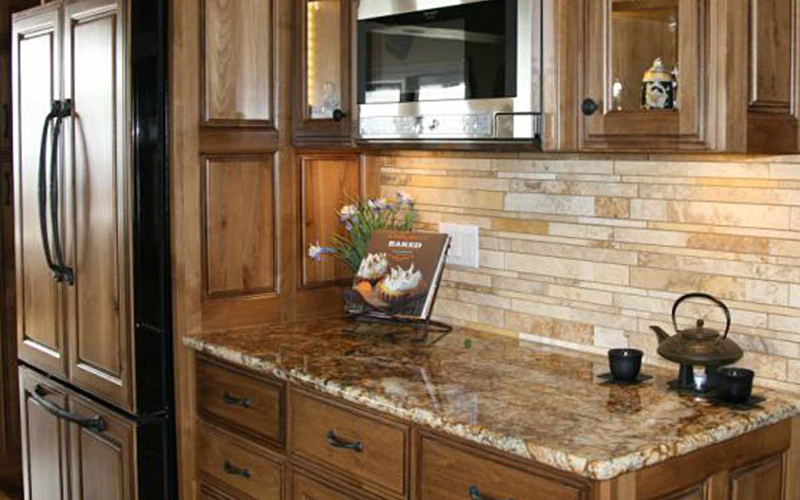 We can provide you with recommendations on what sealer products to purchase in order to best preserve your granite surfaces. Is porcelain tile better than ceramic tile? In our opinion, YES. The body and glazed finish of porcelain tile is harder and less porous than ceramic products, making porcelain a more durable choice. Do I need an underlayment to go over my wood subfloor prior to tiling? YES. Without an underlayment you will not achieve a sufficient bond between your subfloor and tile. 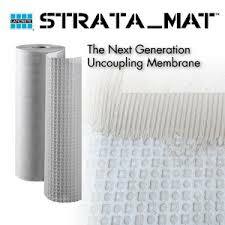 A superior underlayment product that we highly recommend is Strata Mat, manufactured by Laticrete. How do I prepare my substrate for tiling? Wooden floors should have a tile backer board or underlayment applied to their surface before installing tile. Concrete floors should be thoroughly scraped clean from dirt and debris. Pre-existing tiles or other glued on flooring material wil need to be completely removed down to the clean concrete level. How do I properly care for Saltillo tile? Saltillo tiles tend to be porous and subject to easy chipping and cracking so they require regular sealing and cleaning. Only slightly damp mops can be used on these tiles and the mildest of chemicals for cleaning. 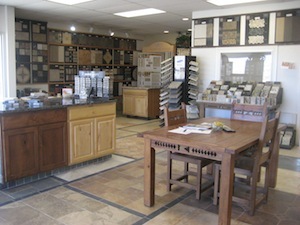 We can provide you with product suggestions for re-sealing your Saltillo tiles every 2 years or so.